Step 1: Obtain an wechatpay account. Step 2: Install WechatPay App. 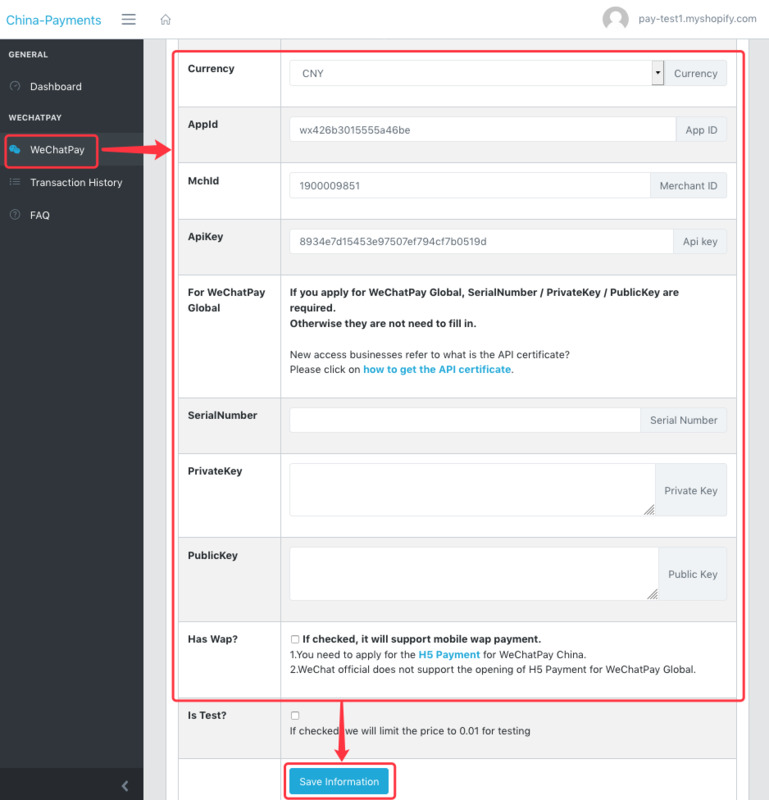 Step 3: Set your information at WechatPay App and Shopify Store background. 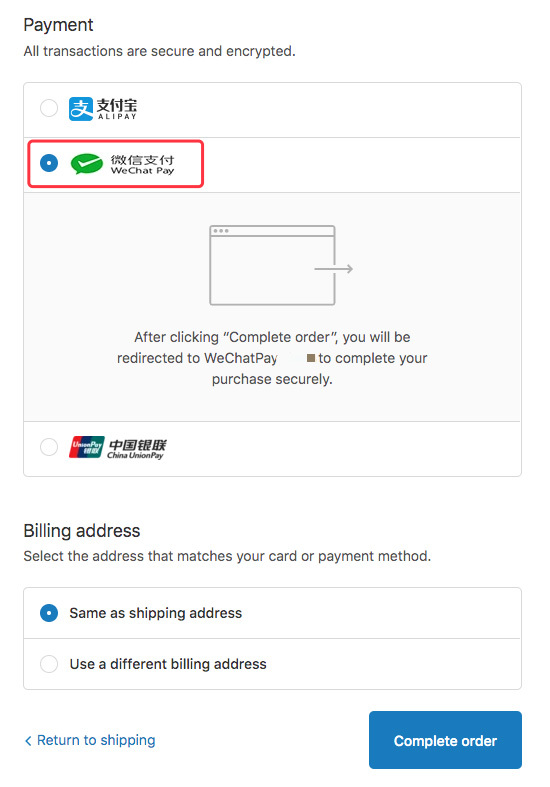 Step 4: Try WechatPay Checkout. Step 5: Check Transaction History. Step 7: How to uninstall the WechatPay App. You should have a WechatPay merchant account before following this tutorial. If you don't have a merchant account, you should apply for one from the WechatPay offcial website. Contact WechatPay support directly when you meet some issues. Visit WechatPay ( International business click here ) website and apply the Qrcode Payment. you will need to input your email address and then verify it, setup your login password and pay password. You'll get Mchid and Appid in the open mail. You need to login to the merchant's account and setup the Apikey. You will need to prepare WechatPay Mchid , Appid and Apikey. Follow this tutorial after you get them. Input your MchId , AppId and Apikey in Wechat and choose the country and currency when you apply, Save . Please click here Click here to install the Wechatpay gateway. Then visit your Shopify Store background, Input your Shopify Gateway key and Gateway Password in Shopify Store background and Save. 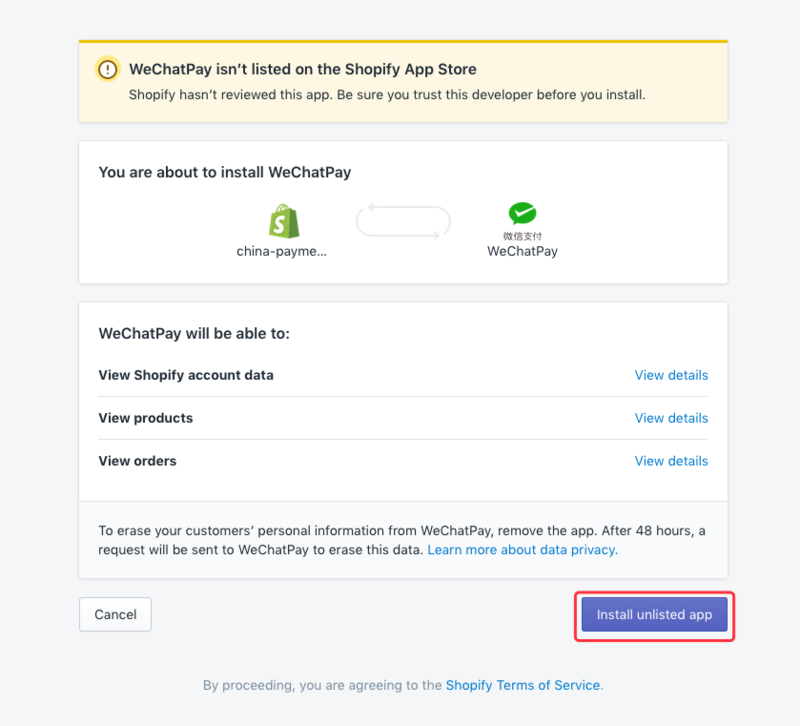 Step 7: How to uninstall the WechatPay App, If you don't want to use and termination of the monthly fee.